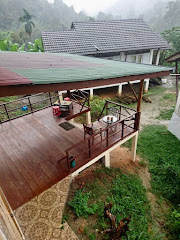 I write to you as one anak Bangsa Malaysia to another. My friends and I were pleased to read in the Malaysiakini report of 14th August that you have forgiven your enemies for what they have done to you over the last ten years, but that you will never forget what they have done to you. It is good that you have found it in your heart to forgive them, for otherwise you will end up bitter and vindictive like a certain ‘past the shelf-life’ politician who just simply refuses to fade away. No, you don’t want to carry bitterness within you. And indeed you must never forget, for it is the remembrance of what you have gone through that will serve you well in two ways. One, to never do to others or allow to be done by others what has been inflicted upon you. Two, so that you will not allow those who have wronged you the opportunity to do again what they have done to you before. 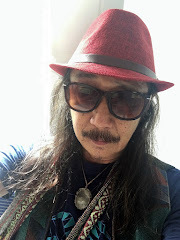 My sister, I like Chopin, has asked me to tell you that she has forgiven you your 16 years of involvement, at least by association and failure to dissociate, with the autocratic, dictatorial, corrupt Mahathir administration. Yes, most of my friends and I, like my sister, have long forgiven you for your involvement in the atrocities committed by Mahathir during his reign of destruction and pillage, even if only by association and your failure to dissociate with his regime. But like you, we, too, have not forgotten. Just as remembrance will serve you well, so too us. I cannot speak for the others, but for me, I think that is really up to you. Before I proceed further, so as to lessen the hurt, if any, of what I am about to say, let me first say that whilst I have the highest regard for YB Lim Kit Siang and YB Lim Guan Eng, yet in the matter of the politics and governance of this nation, I do not trust them implicitly and without question, because they are politicians and 50 years of BN politics has delivered a hard and painful lesson to many of us. Many times last year, I wrote in this blog that I wished you would give me a reason to trust you. Whilst I have to be frank and tell you that I still do not trust you, three things have persuaded me to ‘take a chance’. First, and this is the only rational factor of the three, this nation needs to be rid of the racist, divide and rule politics of BN. UMNO will not change, and the other component parties have shown themselves to be helplessly subservient to UMNO. You and your party leaders, together with the leaders of DAP, have been taking policy positions or making policy statements that, by far and large, seem to be in line with the aspirations of the people. I say ’seem’ because much still remains to be seen. I had actually wanted to say all the Pakatan leaders but, truly, PAS has been giving us some serious concerns of late. The second and the third factors are, in truth, ‘gut’ reactions. 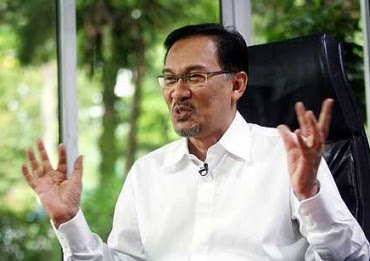 What took you so long to see the solid core of spiritual integrity in Anwar Ibrahim? Speaking for myself, I was just as disdainful of the man's politics... right up till 2 September 1998 when Mahathir sacked him from Umno and from both his official positions. Anwar's fierce rebellion aroused the dormant warrior spirit in me and I began to track his moves closely. In all those years while Anwar was incarcerated in Sungai Buloh, not once did he say anything foolish or undignified. He carried himself impeccably and with astounding stoicism, forcing me to rank him alongside national heroes like Jose Rizal, Gandhi, Martin Luther King, and Nelson Mandela. And when Wan Azizah and Nurul Izzah rose to the occasion like true royalty, my heart opened wide to the HUMAN dimensions of this incredible, homegrown political drama. I feel a twinge of shame now that I never made the effort to visit Anwar in Sungai Buloh or when he was warded at Hospital KL for his back pains. However, he was very much in my thoughts and I kept a clear vision of Anwar being released from prison, exonerated of all accusations, and ready to continue doing battle with injustice. So you can imagine my great joy to see all this unfolding before my eyes in the build-up and aftermath of GE12. I have viewed almost every Anwar speech on YouTube and not once has he given me pause or caused me to wince. As an orator and public figure, the man is 100% the genuine article. Naturally, my feelings for Anwar are now more on the soul level than the mental. Indeed, I see Anwar as the person I would wish to be if I had chosen to be in politics. 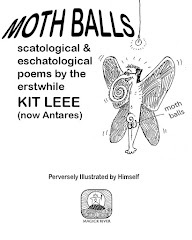 (My parents named me "Xie Fang" at birth, which means "Fragrant Hero" - hence the internal resonance with Anwar Ibrahim, whose name means "Inner Light" or "The Luminous One"). What's even more impressive - Anwar has earned the profound love, admiration and respect of veteran warriors and sages like Kit Siang, Karpal, Guan Eng, and Nik Aziz. Their feelings of solidarity with Anwar are tangibly real - that's why March 8th 2008 was possible. And that's exactly why Pakatan Rakyat can - and will - become the next government of Malaysia. To me the September 16 date is Anwar's way of maintaining his focus, intention, and will-power. Setting a definite target activates and charges up the field of potentiality and probability. Ultimately it matters not if Pakatan Rakyat takes over in September, October or November (the sooner the better, of course!) - but my instincts tell me Anwar might just pull it off. His return to Permatang Pauh and Parliament is undoubtedly the important first step to Putrajaya. 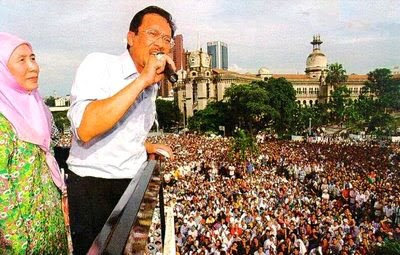 Once Anwar is Opposition Leader, the momentum of transformation will accelerate. What used to take generations will be accomplished within months, weeks, days. I know the Bumno Bunch are using big-time black magic to try and put Anwar behind bars for traumatizing that poor "innocent" catamite Saiful Bukhari. I believe RPK has once again foiled their plans by exposing Shafee Abdullah's role in the plot. To stage another balaclava terrorist-style arrest at this stage would plunge the entire country into overwhelming darkness and precipitate military rule. I doubt any of our Sultans will allow that to happen. They have wisdom enough to know it would spell the ignominious end of Malaysia as a parliamentary "democracy." 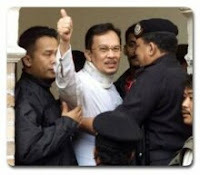 If those bloody Sai-fools* in BN try to bring down Anwar by brute force, the whole ceiling will collapse and kill everybody, including the conspirators. 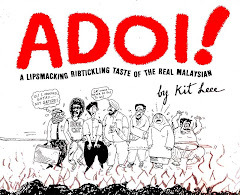 It has been much harder to pin anything on KJ & Co - as things stand Najib is absorbing most of the bad vibes from this ludicrously Kafkaesque plot, but that's precisely the whole wicked idea. Now let's consider this: if we can get at least 1 million Malaysians to anchor a clear vision of Anwar remaining free and Pakatan Rakyat taking over the federal government, we can all look forward to a very meaningful, glorious and wonderfully joyful destiny for Malaysia. I wish Sabah will be free of illegal immigrants soon - so the BN won't be able to cheat votes again and again during pilihanraya. And I wish that my fellow Sabahans will learn to trust DSAI too. Hi Evy! First your fellow Sabahans must learn how to trust themselves. If you don't trust yourself, you'll always be in doubt as to whether your dreams will be fulfilled. I trust that a Pakatan Rakyat government will abolish all repressive and archaic laws to begin with, and take bold steps to overhaul the judiciary, clean up the police force, and restructure the civil service. 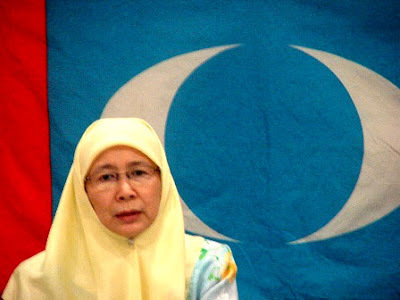 Almost every Pakatan leader has been thrown in jail under the ISA and suffered the frustration of being rendered voiceless because they lacked access to the mass media. For sure they will dismantle the tools of oppression and cruelty and be far more receptive to feedback from the public. In a few years, the climate of fear Mahathir created will be just a nightmare of history. People who are outspoken and honest can never be enslaved. Nor will they ever fear their government again. We have fought long and we are still fighting. People get the wrong impression that we Sabahans helped BN won the election when in fact it was the bloody fake sabahans who voted them. We voted the oppositions even though we didn't even know who the candidate was, just as long as the person represent the opposition. That is why we have kept asking to clear the illegals in Sabah. They have outnumbered us. But BN knows with no illegals they wouldn't be able to win! no solid anchorage can be sent home to Indonesia and the Philippines - but not empty-handed. It will be worthwhile to give each of them a modest compensation for having to uproot and relocate, so as to soften the blow of being thrown out. Once Pakatan Rakyat forms the federal government, Sabah will probably receive 20% commission on oil royalties - and the first payment can be used to finance this massive immigrant relocation exercise. We accepts the Philipines and Indonesians who come here with required docs. We know they just want to earn a good living. Those who don't have docs or fake docs are the ones that worries us. And these are the ones who should go. I agree with you it is a complex issue that needs great wisdom to resolve and it will take a very long long time. Thanks to Mahathir and our sabahan politicians clowns ( with exception Datuk Chong Kah Kiat ). It's hard for me to understand why some folks still think the world of Dr M - maybe they got a good deal out of his administration and owe him a debt of gratitude. I endured EXTREME frustration, anger, indignation and outrage throughout those 22 years he was PM. I'm not the Vincent Tan or Yeoh Teng Lay type lah!